Kelley Realty is the one to call when buying or selling property in Western NC. Serving Lenoir, Hudson, Granite Falls, Hickory, Morganton, Blowing Rock, Boone, and the surrounding communities. Click here to see a list of foreclosures in the area, including their locations. Locally owned and operated, Kelley Realty is the premier independent real estate office in Lenoir, NC. Owner Lawrence Kelley, Jr. has been in Real estate since 1997 and has an extensive background in REO Foreclosure and land sales. His son Gwyn joined the firm in 2014, quickly achieving success in the industry and continuing to excel in numerous areas of real estate. Having grown up in this area, Lawrence and Gwyn continue to serve the greater part of Western North Carolina including the Mountains and Foothills. They are members of the Multiple Listing Services (MLS) for Catawba Valley, Burke County, Wilkes County and the High Country, and are ET REO Certified, Equator REO Certified, VRM REO Certified, and Corelogic REO Certified. Due to extensive valuation work, comparative market analysis, and around 150 broker price opinions each year, we are up to date on the market value trends of homes in the area. As a benefit to our sellers, we promote your listing on over 30 websites in order to receive the greatest coverage and sell your property as quickly as possible. For our buyers, we are happy to advise you on the types of financing available for a particular home or assist you with a rehab or renovation loan, if desired. 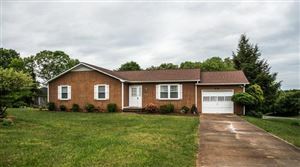 If you are interested in purchasing foreclosures in Caldwell, Burke, Catawba, Alexander, Avery, Watauga, or Wilkes Kelley Realty is your best resource. Foreclosures can be complicated, involved, and legally complex due to heavy regulations. Since Kelley Realty handles foreclosed homes for many of the local banks, we have the experience to make sure the process is handled correctly. We are also experienced in managing short sales and can make the process as painless as possible.